You might have noticed I recently shared with you a recipe for a super simple 5 Minute Coriander Chutney. Well, that little chutney was MADE for this tadka dal recipe. In the literal sense and the ‘match-made-in-heaven’ sense too. 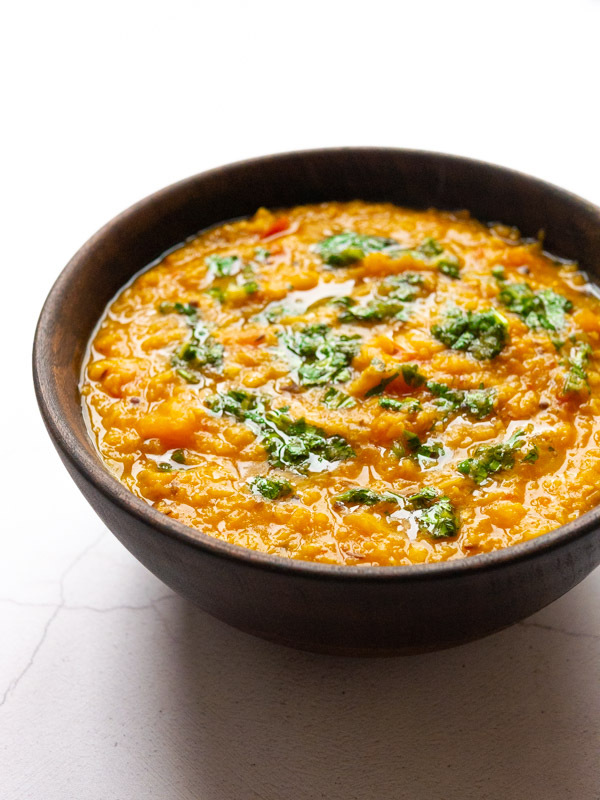 This simple dal is wonderfully creamy and comforting, while the chutney has a little bit of sweet and sour to balance the whole thing out. Like I said, an absolute dreeaaaaam. Tadka is a simple but powerful method of frying spices in oil or ghee. The spices both flavour the oil they are cooked in and release their own essential oils making them more aromatic and flavourful. Both the spices and oil can then be the base of a dish, such as curry, or they can be added to a dish towards the end. Exactly like in this dal. Dal is a term for split pulses, such as lentils, chickpeas, peas and some beans. Dal is also a type of Indian soup/stew that is made with pulses. Allow the Dal to cool to room temperature for no more than two hours. Then transfer it to an air-tight Tupperware container and pop it into the fridge. It should be eaten within 3-4 days. Once cooled, transfer the Dal to a freezer safe container. Pop it into the freezer. It should be consumed within 6 months. To defrost the tadka dal move it from the freezer to the fridge and leave it there overnight. It can take up to 24 hours to fully defrost. Alternatively, you can use the defrost setting on your microwave to thaw the dal. Transfer the dal to a saucepan and heat over a medium heat on the stove. Allow the dal to simmer for approximately 5 minutes, stirring regularly. Alternatively, you can reheat the dal in the microwave. Microwave on full power for 2-3 minutes, stirring halfway through. Ensure the dal is piping hot all the way through before serving. If it is not, heat for a little longer. Can dal be eaten cold? It can! Ensure it has been properly stored beforehand. 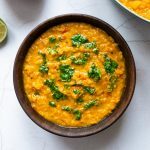 What to serve with dal? 🍚 Rice is a common accompaniment to dal. Basmati rice in particular. 🍞 Bread such as naan bread, chapati or roti are perfect for dunking and scooping up dal. 🥭 Chutney and pickles are fab accompaniment that adds new texture and flavour to the dal. There are lots of options to choose from, but my favourites are mango chutney, hot lime pickle and 5 Minute Coriander Chutney. 🥛 Yoghurts such as mint yoghurt or raita pair well with dal. 🥗 Salads also go well with dal as they add extra crunch. Indian cumber salad or onion salad pack in lots of flavours. 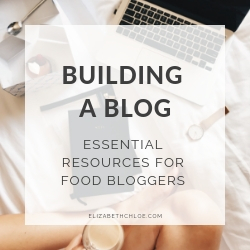 It’s filled with store cupboard ingredients, making it a super simple recipe to whip up, and cheaper too. It’s vegan! But you don’t have to be vegan to enjoy this dish. We all know we should be cutting down on our meat and dairy consumption, and this dish is a good one to start with! It’s a great dish to make in big batches. Freeze some. Pop it in Tupperware and take for lunches throughout the week. Keep some handy for when you haven’t got much else in the fridge. It’s full of fibre, which is essential for a happy tummy! 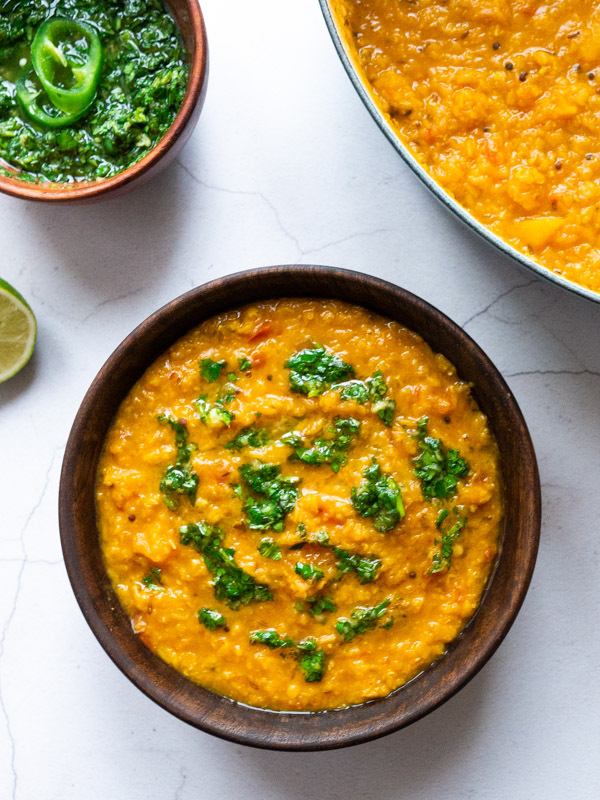 This creamy vegan dal is full of warming spices, red lentils and butternut squash. The perfect vegan comfort food! 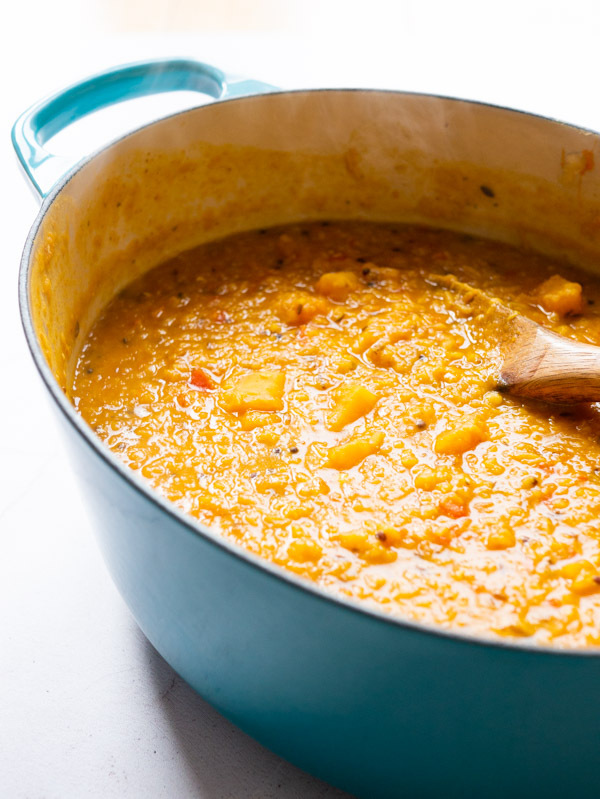 Add the lentils, butternut squash and water to a large saucepan or casserole pot and put over a medium heat. Bring to the boil and skim any ‘scum’ off the top. Reduce to a simmer for 20-30 minutes until the lentils are tender, and beginning to break apart. Using a food processor or mini chopper (I use my Bosch Food Processor) pulse the onion, tomatoes, tomato puree, garlic and ginger until a coarse paste forms. Alternatively finely chop the onion and tomatoes and mince or grate the ginger and garlic. Heat a saucepan or cast iron frying pan over a medium heat with a tablespoon of oil or ghee. Add the cumin seeds and mustard seeds and allow them to sizzle for 1 minute, stirring regularly. Keep a close eye so they don’t burn. Then add the ground coriander and turmeric and stir for 30 seconds before adding the onion, tomato, garlic and ginger paste. Cook for 5 to 10 minutes, stirring regularly until most of the water has evaporated. Then add the garam masala. When the lentils and squash are cooked through, add your tadka mixture, stirring to incorporate. Leave to cook for a further 5 minutes. Taste and season with salt. The dal should have a porridge/soup-like consistency. Add more water if it feels too dry. Serve with 5 Minute Coriander Chutney and warm roti. Enjoy! Me too! On both the squash and plant-based front. I hope you enjoy! 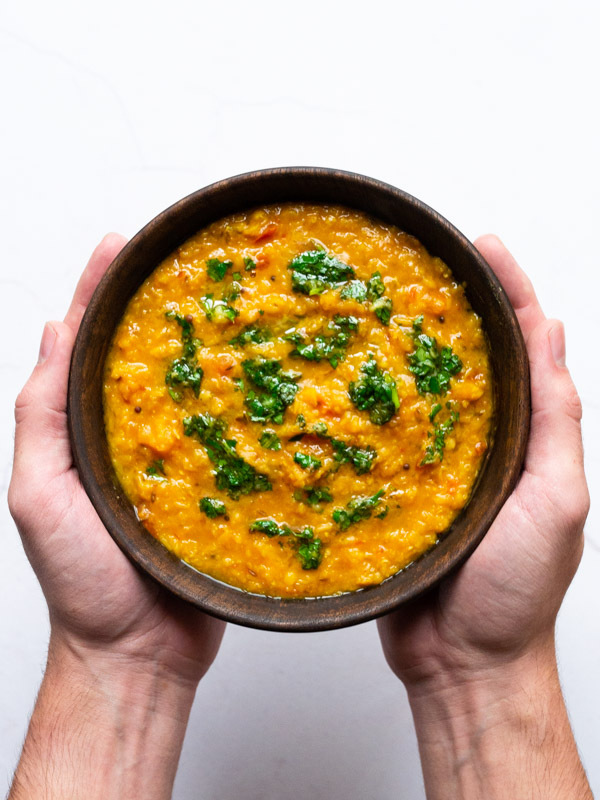 I’m always looking for new dal recipes, and this is gorgeous! So much flavour and the colour is just so vibrant! My everyday favourite Tadka Dal for meals throughout the day. However, haven’t tried to make it with Butternut Squash. 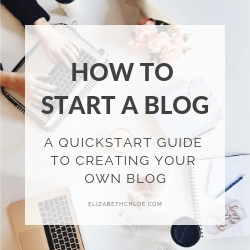 Will definitely try this one out. Am sure it must be good. Thanks, Sue! Yes, I know exactly what you mean, so much flavour!